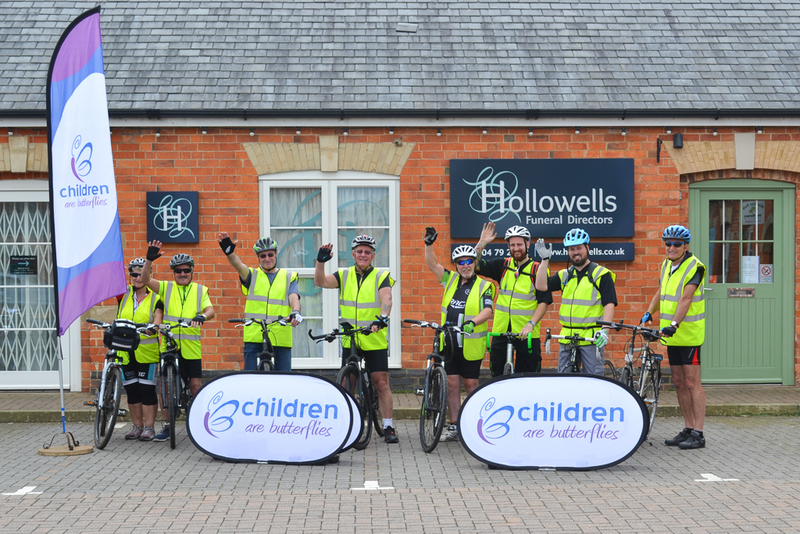 On the morning of Sunday 26th June 2016, six members of The Northampton Over 60’s Cycling Club, Dave Cooper, Joe Frydrych, Bob Partridge, Dudley Binnington, Roger and Marie Freeland and the grandfather of Baby Emily, David Draper along with two gentleman from Halfords Dave Baglee and Kyle Tate took to the roads on a 35 mile bike ride to raise money for Children are Butterflies. 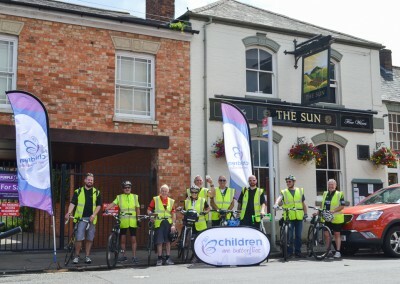 The Bike Ride started and finished at the Sun Public House in Hardingstone, with the cyclists stopping off at the offices belonging to Hollowells on the way and the MacManus Public Houses that also supported the Charity Cycle Ride, these included The Red Lion at Brafield and The Thomas a Beckett in St James. 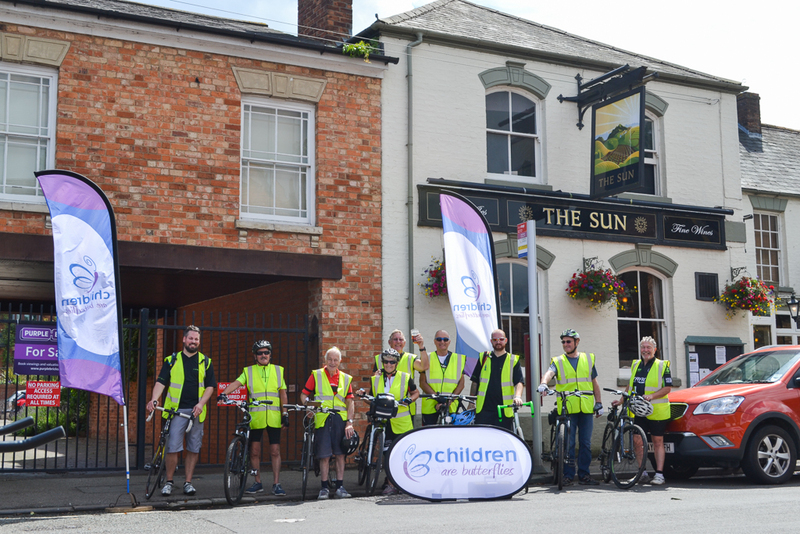 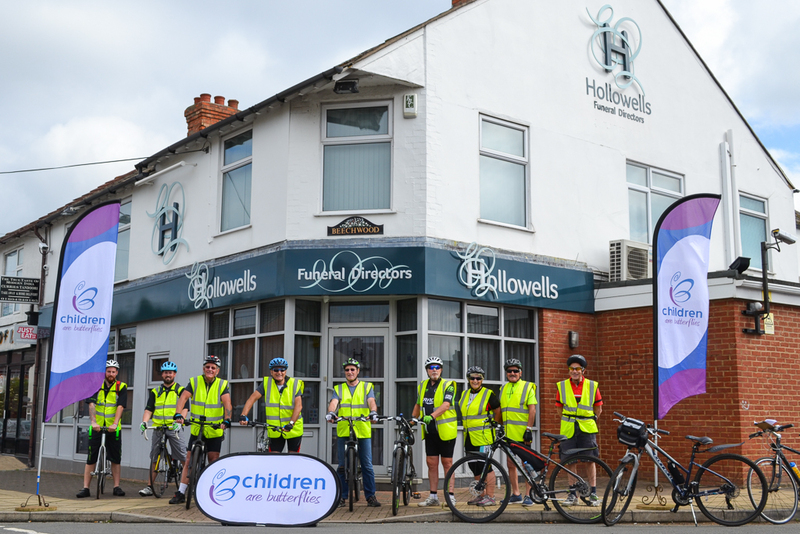 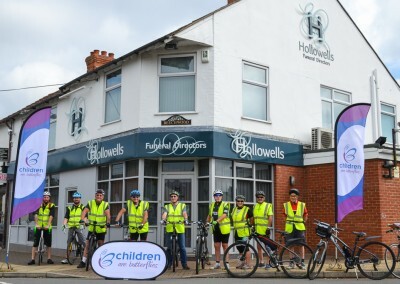 The sun shone and the cyclists made their charity ride look so easy stopping off at the different pubs and landmarks for a quick photo opportunity. 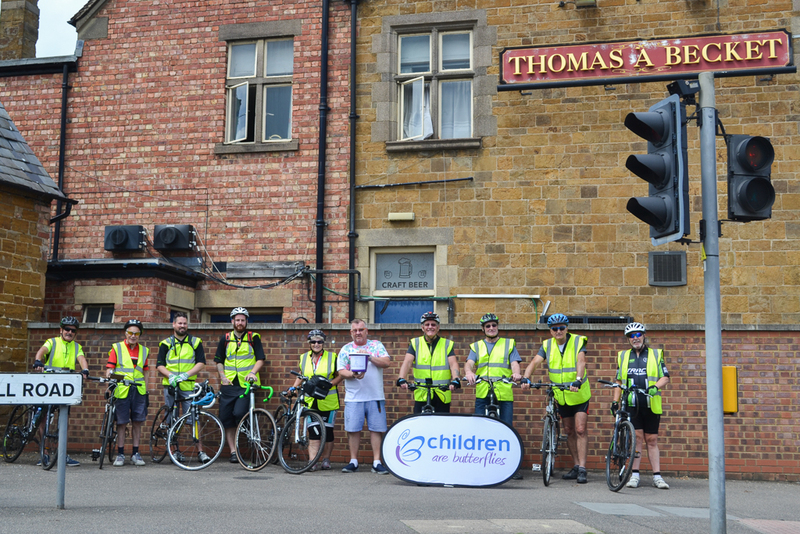 It was a lovely day with plenty of ‘cheers’ heard as they crossed the finish line at just after 2pm where they all enjoyed a well deserved drink or two! 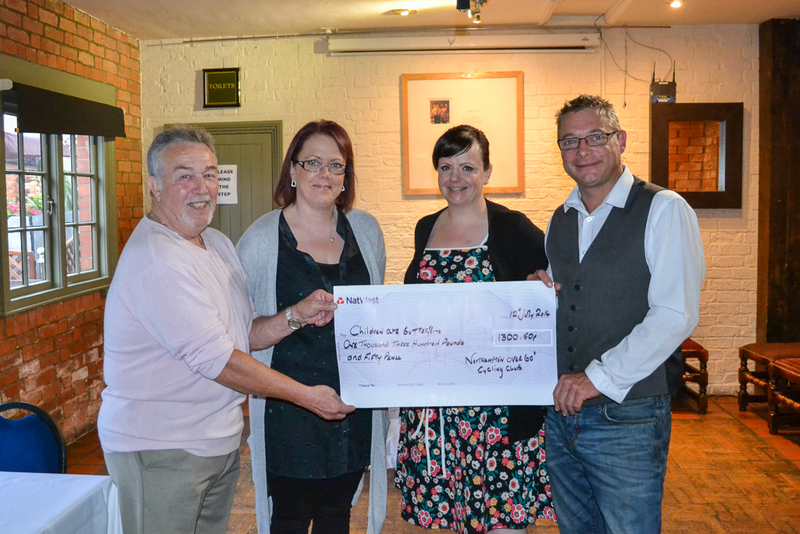 On Tuesday 12th July, it was time to present the cheque to our charity and the presentation evening was organised at The Sun in Hardingstone. 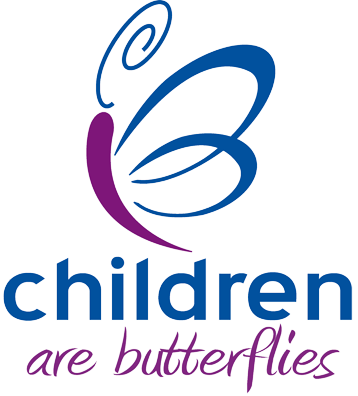 Ann and Clare from Children are Butterflies were presented with a cheque totalling £1,300.50 by Dave Cooper who set up The Northampton Over 60’s Cycling Club and Andy Pye, landlord of The Sun Public House, Hardingstone. 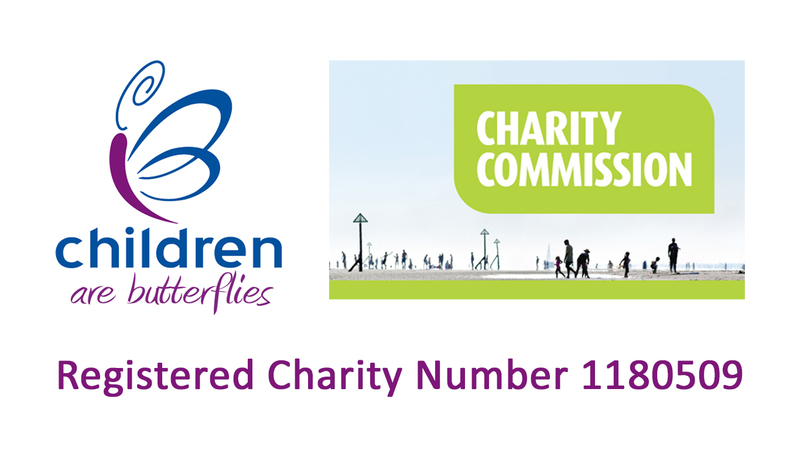 On behalf of the charity, we thank you all for you hard work, dedication and generosity. 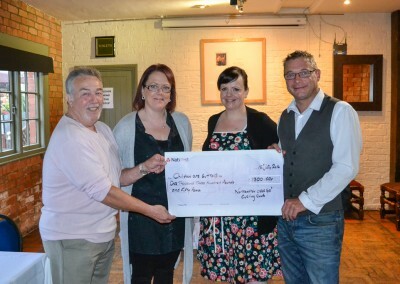 Every penny raised is given to families who need financial support during such a sad and difficult time.